This PCIe to PCI Adapter Card lets you use low profile PCI expansion cards in a server or desktop motherboard PCI Express slot. 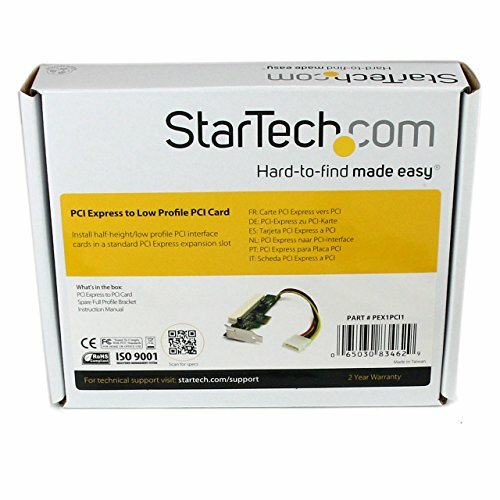 Compliant with PCI Express Specification 1.0a and PCI Specification 2.2, the adapter card connects through a PCIe 1x slot to provide a low profile PCI slot in its place. A spare full size bracket for PCI Express card is also included for use in larger desktop or server PCI Express slots. 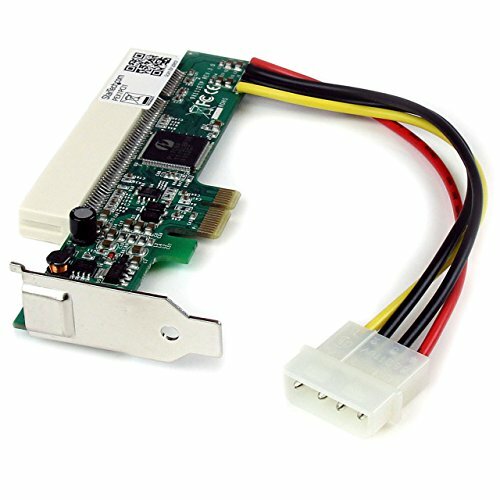 A versatile solution, the adapter card converts PCIe to PCI or PCI-X; a built-on LP4 power connector links the card to the computer power supply, allowing you to install universal voltage PCI cards (3.3V/5V).The adapter card offers an economical solution that lets you extend the usability of older or extra PCI Bus cards in newer PCIe capable systems. 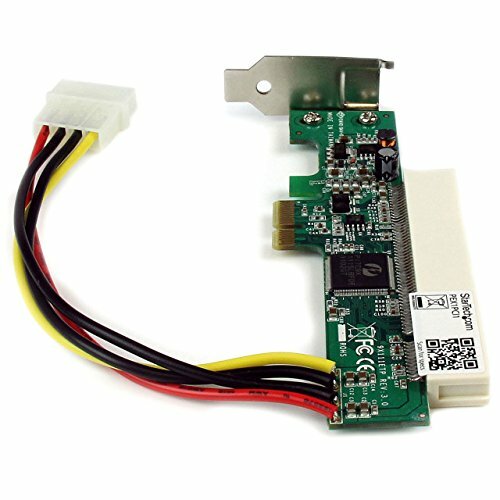 To ensure suitable installation in any low profile server or desktop computer, the PCIe/PCI adapter features an innovative bracket design that adapts and secures the low profile PCI or PCI-X card into the converted slot.